Are You Healthy Enough to Drive? Fatal auto accidents dramatically increase for drivers between the ages of 70 and 74, with the highest number of deaths among drivers 85 and older. Age-related vision and cognitive issues can play a role in how a senior driver handles a vehicle. A few years ago, an organization that studies cities and how they operate did some interesting research on why people choose to drive a vehicle rather than take public transportation. The researchers found that even though public transportation generally was faster and cheaper, most people chose to drive. Today, you will find more than 200 million drivers on U.S. roads, but a question that should be asked is: How many of them are capable of driving safely? Driver health is vital to keeping everyone on the road safe, and some states are taking extra steps to make sure those who are driving can do so safely. When should someone give up the car keys? When most people talk about having to “take the keys away” from someone, undoubtedly we think that age is the reason for removing driving privileges. In many instances, it is. 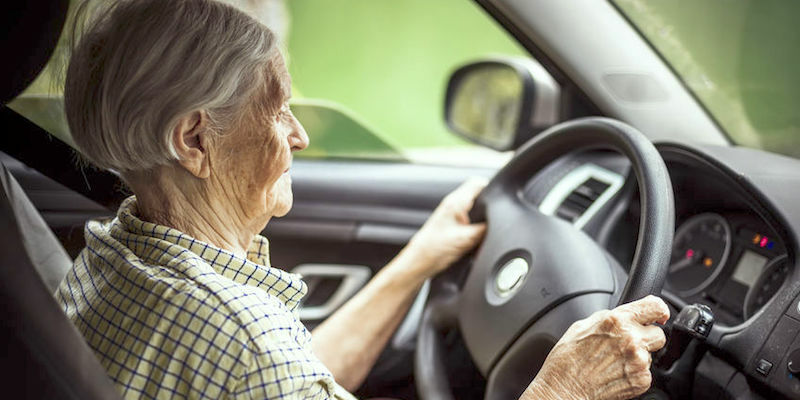 According to 2106 figures from the National Highway Traffic Safety Administration (NHTSA), there were more than 49 million people in the United States who were considered seniors, meaning those age 65 and older. Between now and 2050, the U.S. Census Bureau expects the senior population to increase to 80 million people. Fatal auto accidents dramatically increase for drivers between the ages of 70 and 74, with the highest number of deaths occurring among drivers 85 and older. Age-related vision and cognitive issues, as well as undiagnosed medical issues and even medications, can play a role in how a senior driver handles a vehicle. Diabetes, which can cause blood sugar to drop or spike without warning. The results of these fluctuations can cause someone to become sleepy or shaky, which can impair driving suddenly. Epilepsy, which can cause sudden seizures. If driving, this can cause the driver to lose control of the vehicle. As a note, in some states, it is required by law that a doctor report if a patient has epilepsy. Here in Colorado, there are specific laws for those with epilepsy that determine whether it’s safe to issue a driver’s license. Sleep disorders, which can affect people of all ages, are considered a serious medical condition when behind the wheel; sleep deprivation can have the same effect as drinking before getting behind the wheel. Many more conditions can negatively impact one’s ability to drive safely, and drivers need to do their part to address medical issues honestly. In some states, physicians must report if they diagnose a patient with a health problem that could negatively impact driving. Drivers also need to take responsibility. All states require drivers to renew their license every few years. Here in Colorado, drivers renew their license every five years, and when that is done, there may be health questions asked of the person seeking a renewal. If you renew your license via mail or online, it’s important that you answer those questions honestly. If you renew in person and the official licensing suspects there could be an underlying health issue that could impair your driving, such as not doing well on an eye exam, you may be required to seek medical attention to get your license renewed. For senior drivers in some states, a doctor’s approval is needed to renew a license, and there are restrictions when it comes to renewing online or through the mail. While these rules may seem a bit intrusive, keep in mind that the bottom line is safety, and sometimes that will mean setting the car keys aside and using another mode of transportation.